It’s taco night! Now this happens in my household about once a week. We love spicy food. Of course tacos don’t have to be spicy. When you make your own taco mix and salsa you can customize it to how ever you like. I recently started having to watch my salt intake. As you can imagine that kind of put a stop to my taco nights. One package of taco seasoning that you buy in the grocery store contains 2220 mg of sodium! So instead of ending taco night forever, I decided that I needed to make my own. I looked at a lot of different recipes and finally came up with my own taco seasoning based on spices I know that I like. The recipe I have included here does call for salt because if you don’t have to worry about your sodium intake you want the full flavor. If you are watching your sodium then you can just omit the salt. 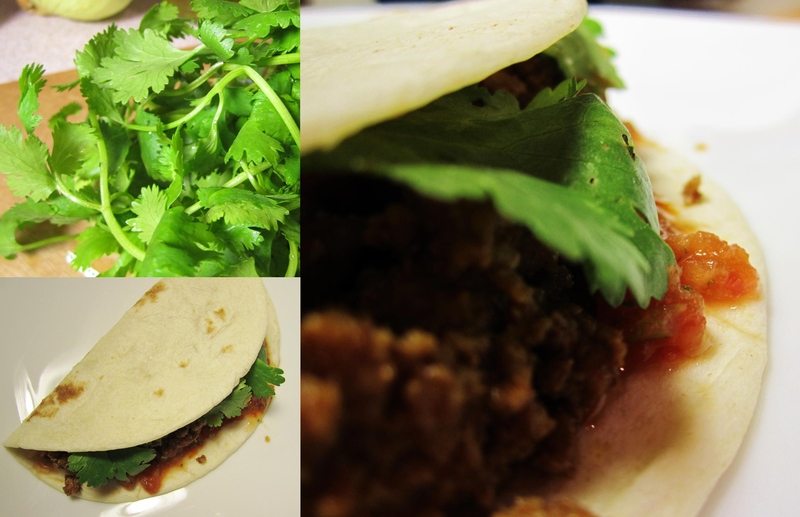 This recipe makes a pound of taco meat. Do not forget to take into consideration the sodium in the meat itself. If you have no issues with your salt intake, this recipe is still really good! It has great flavor that you just don’t get with a packaged mix. It also has significantly less sodium than the packaged stuff. When I mix up this recipe, I multiply everything by 10 and make a large amount so that I don’t have to mix it up every time I make tacos. Be sure to put it in an airtight container and you’re set. If you decide to make the large batch, you will measure out 4 Tbsp. per pound of meat. Wait… Don’t forget the salsa! Making homemade fresh salsa will cause you to never eat that bottled stuff again! Fresh salsa makes the taco! I have had a lot of people ask me for this recipe. The truth is I made up this recipe and honestly had no idea what any of the measurements were. I just know by sight what should be thrown in to the food processor. I finally sat down and measured everything and wrote it down so I can share it with you! This is a “fresh” salsa but many of the items are canned or jarred items you find in the grocery store. This will allow you to make fresh salsa “anytime”! Also I have found that these items work best and give you a salsa even better than what you get in a Mexican restaurant. 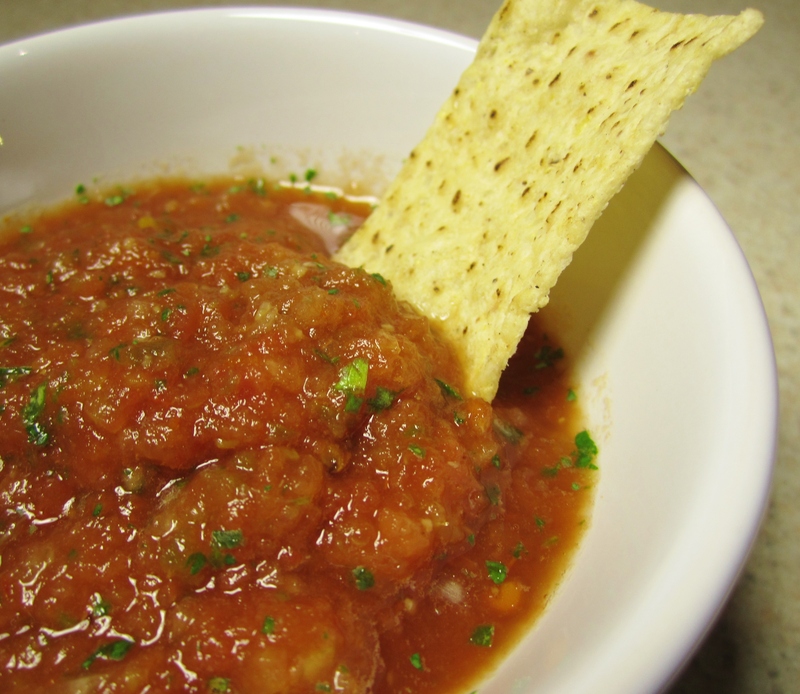 This salsa is so good you won’t be able to stop eating it! You’re going to have to buy more than one bag of tortilla chips for this recipe! Mix all ingredients together. Brown 1 lb. of meat and drain off fat. Add seasoning, stir and cook for a couple of minutes. *I love to use ground chicken with this seasoning. Of course you can use beef or turkey. Then I serve with sour cream, shredded cheese, fresh salsa in a fajita size flour tortilla. Start by getting your food processor set up. 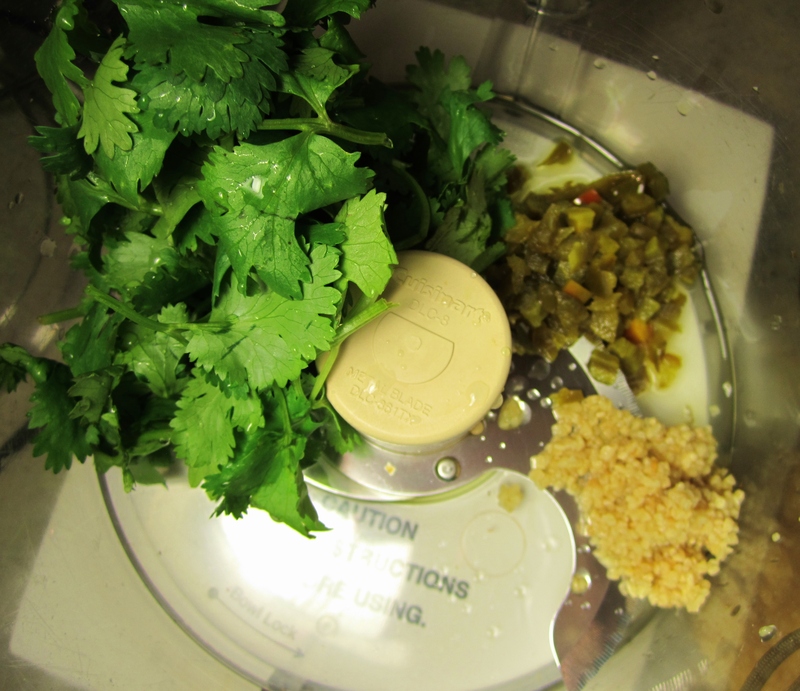 Add the cilantro, garlic, jalapenos and salt first. 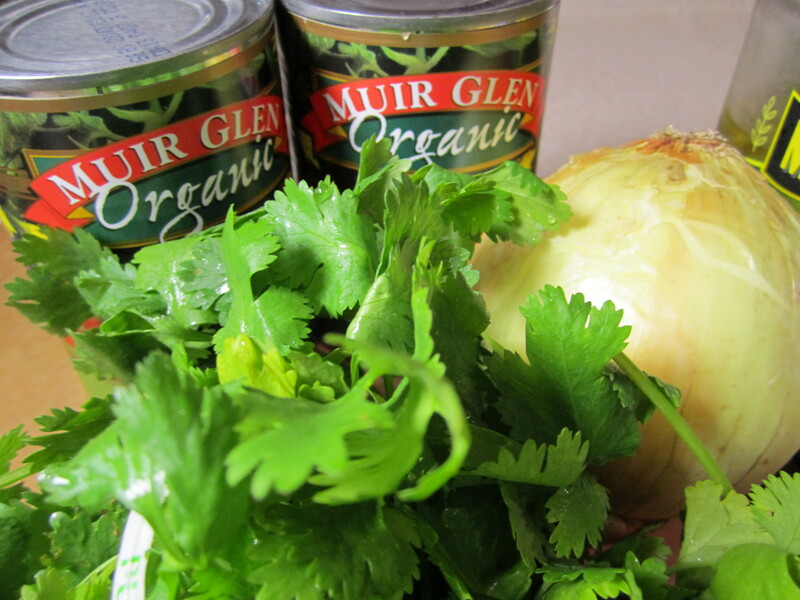 Process till the cilantro looks chopped up. When measuring out the jalapenos, be sure to get the juice in there as well. This gives it a really great vinegary taste. If you are sensitive to spice, start with only 1 Tbsp. of jalapenos. You can always taste it at the end and add more. Add the onion and process till it looks diced. Then drain your tomatoes (this will make a thicker salsa) and add to the food processor. Process until you get the consistency you want. I like mine really processed, some people like it chunkier. This is beauty of making your own! Be sure to taste before you pour it out of the food processor. This is time you can add more salt or jalapenos to your own taste! I love it with ground chicken! This looks delicious and the recipe looks so simple to make!